Students at Scales Elementary School in Brentwood gathered together on the last day of school to celebrate many student accomplishments. 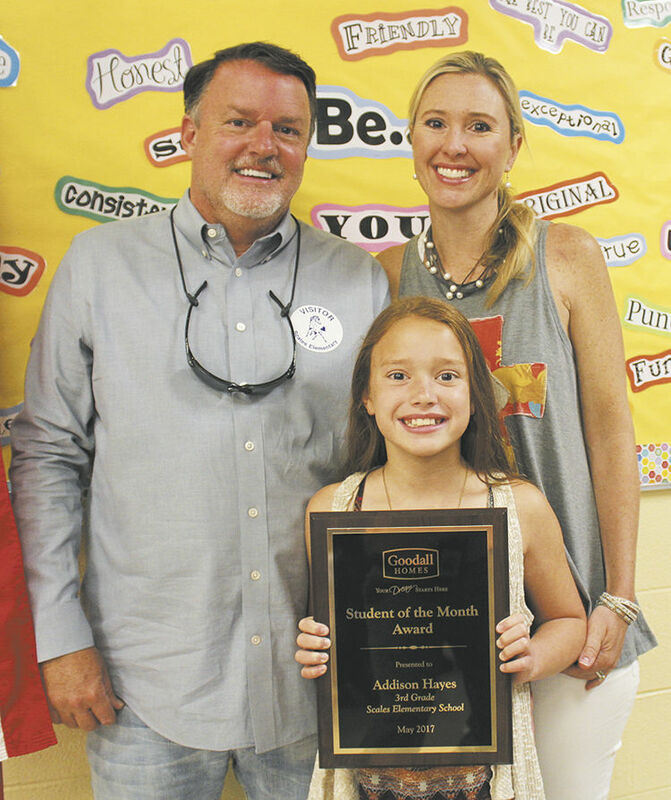 For Addison Hayes, a third grader, she was “excited, but a little nervous at the same time,” when she received the Goodall Homes Student of the Month Award. Her parents, Jay and Amber, proudly witnessed their daughter receive the award. “It really was a total surprise to me,” Hayes said. 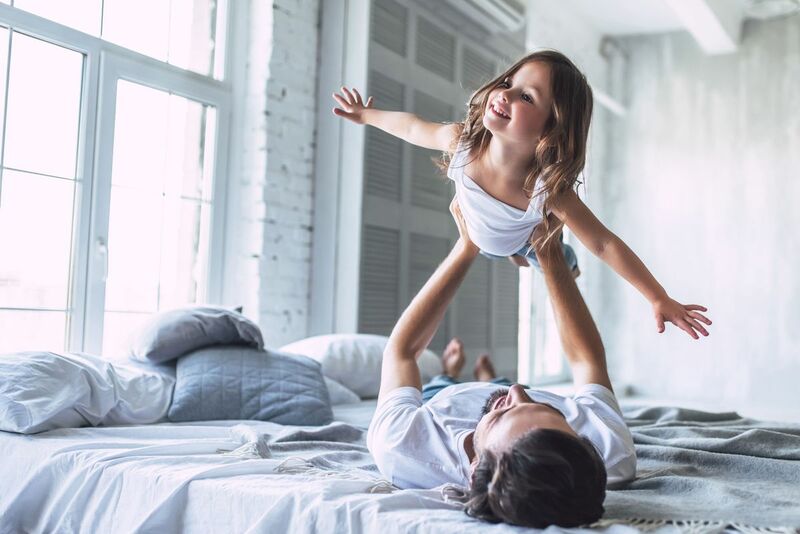 The couple describes Addison’s character as caring and “treats others the way she wants to be treated.” Addison’s teacher Jennifer Griffin nominated her for the character traits of respect and encouragement. “She always treats others with respect and goes above and beyond in regards to helping her peers,” Griffin said. “She encourages others and inspires others to be responsible students.” To nominate a student for the Goodall Homes Student of the Month, visit www.williamsonheald.com and submit a nomination form. Photos by Austin Thompson Jay, Amber and Addison Hayes. Addison, a 3rd grader from Scales Elementary, won the Goodall Homes Student of the Month Award.